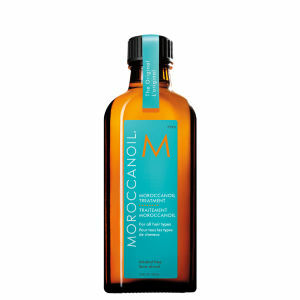 Moroccanoil® Treatment Light’s versatile, nourishing and residue-free formula can be used as a conditioning, styling and finishing tool. It blends perfectly with other products and even speeds up drying time. This treatment for hair completely transforms and repairs as its formula transports lost proteins for strength; fatty acids, omega-3 oils and vitamins for shine; and antioxidants for protection. 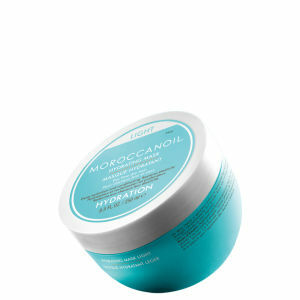 Apply 1–2 pumps to clean, towel-dried hair, from mid-length to ends. TIP: Mix a few drops of Moroccanoil Treatment Light with Moroccanoil Intense Hydrating Mask, Hydrating Mask Light or Restorative Hair Mask for added nourishment. Argan Oil: Rich in fatty acids and antioxidants that help restore elasticity, smoothness and manageability to hair.